As in other states, there are more seniors on the roads in Maine and they are driving into their 80s and beyond at far greater numbers than past generations. 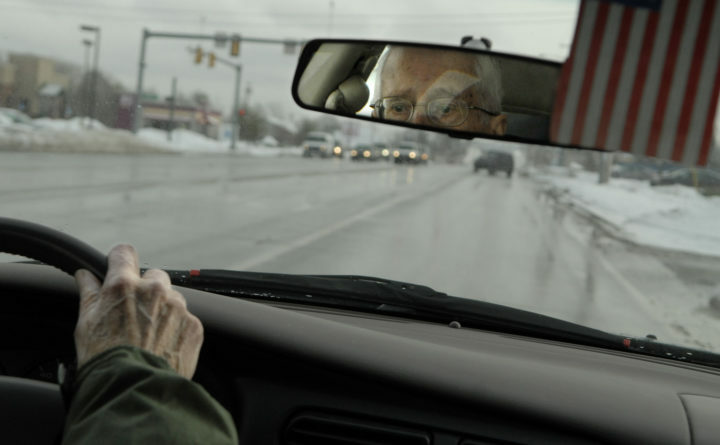 Nearly a quarter of Maine’s licensed drivers are over the age of 65. As the TRIP report notes, 79 percent of American seniors live in suburban or rural communities, making travel by car a necessity. In fact, 90 percent of travel for this age group involved a private vehicle. This highlights a problem that will only grow as the number of older Mainers, and drivers, continues to grow. The US Census Bureau projects that in 2020, residents 65 or older will outnumber those under 18 in Maine. That is 15 years sooner than the nation as a whole is expected to reach this milestone. In spite of their growing numbers, many seniors will have to stop driving as their mobility, eyesight and reflexes diminish. Talking with a parent about giving up their car keys can be a very difficult conversation, BDN health blogger Diane Atwood wrote recently. Atwood was persuaded to talk to her mother, who lightheartedly talked about her traffic mishaps, after she talked with a woman whose fathered had been killed by an 84-year-old man driving the wrong way on Interstate 295 in Falmouth. This difficult conversation is made harder by the fact that in most Maine communities there are limited transportation options for those who do not drive. One group is working to change that. ITNAmerica will soon provide its 1 millionth ride. The nationwide group, which was started in Maine and is headquartered in Westbrook, pairs volunteer drivers with those who need rides, including seniors and those with disabilities. Seniors or others who no longer drive but own a vehicle can donate it to ITN in exchange for credits for free rides. Volunteer drivers earn credits that they can use later in life or transfer to a relative who needs rides. Sen. Susan Collins secured $300,000 in 2003 to help develop ITNAmerica. “Not being able to drive takes a particular toll on seniors living in rural, low-density areas,” she said at a 2013 hearing on the topic. Katherine Freund founded the group after her then-3-year-old son was struck and seriously injured by an 84-year-old driver. She is passionate about leveraging private capital — the hundreds of millions of cars in America, most of which sit unused most of the time — to solve a public problem. While government programs are beneficial, they tend to focus on what Freund calls “subsistence transportation” — trips to a doctor’s appointment or the grocery store. Her goals is to ensure that those who are unable to drive can attend concerts, go to a restaurant, meet up with friends and do things many of us take for granted. ITNAmerica now has affiliates in 12 states. They have mostly operated in urban areas. This year, the group plans to expand to rural areas with a new program called ITNCountry. It is doing so through a pilot project in Maine. Three communities have signed up to participate — York, Saco and Boothbay Harbor — but it is looking for two more communities to participate. It would be great if they were in northern Maine. For more information, go to itnamerica.org.